Employee expenses on your books are business expenses an employee pays for with their own personal funds or a corporate card and reimbursed later by the employer. The most common expense reimbursements are for airfare, hotel and meals. A written expense policy and a standardized expense report template will save time and help keep employees happy. Using QuickBooks Online to manage common business expenses is easy. Record, submit and get reimbursed straight from the platform to streamline your companies expense process. Get up to 50% off QuickBooks today. 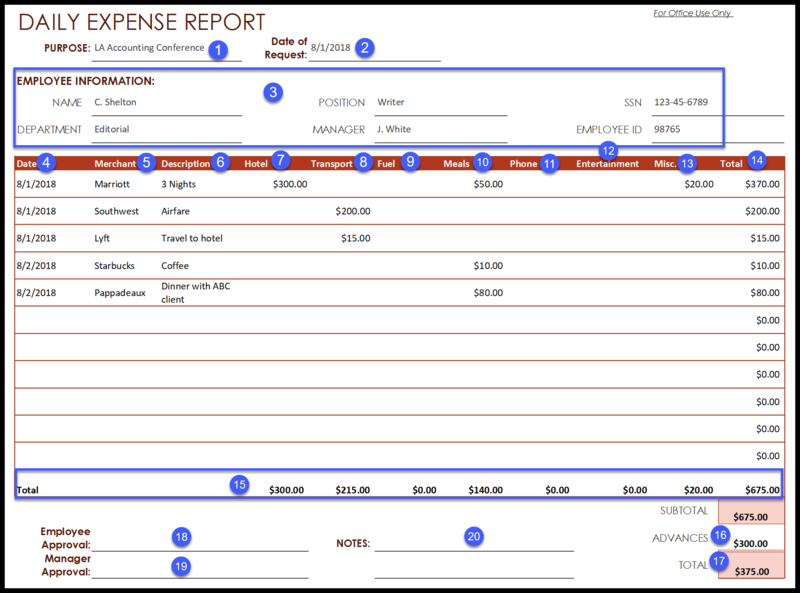 Depending on the needs of your business, there are many types of expense report templates that can be used. Below, we have provided three types of templates: a template that includes vehicle mileage calculation, a template that does not include vehicle mileage calculation and a template that includes a field to account for any money advanced to employees to cover business expenses. All of these templates can be revised to meet your individual business needs. The way this works is the employee needs to complete the Excel template, print and sign it and attach copies of all receipts. The employee submits the expense report to the person who will approve it, and the approver will forward it to the accounts payable department to be scheduled for payment. We will go through the step-by-step process of how to complete the Excel template later on in this article. This template is great for a business whose employees don’t need to be reimbursed for mileage because they never use their personal vehicles for business. This template is the PDF version of the above template. Use this template if your employees do not require reimbursement of miles driven with their personal vehicles. This template is ideal for businesses that need to reimburse employees for miles driven with their personal vehicle. This template is the PDF version of the above Excel template. Use this template if you need to reimburse employees for miles driven with their personal vehicle. This template is ideal for a business that advances funds to employees to cover business expenses. This template is the PDF version of the above template. Use this template to deduct any advance payments made to an employee to cover business expenses. Before you start tracking employee expenses, it’s important for you to know what best practices are to avoid running into major issues later on. We have provided you with four simple steps to help you successfully track and report employee expenses in your business. Listed below are four key best practices to account for employee expenses. If you don’t currently have an expense policy in place, you need to create one. A documented policy will provide employees with a set of guidelines that must be followed for all employee expense reimbursements. It should include information like what expenses are reimbursable, any dollar limits, the process to follow when submitting a reimbursement request and the necessary approvals required. Below is a list of the key areas that should be included in an expense policy for employee reimbursements. While this might seem obvious, it is often unclear to employees as to what expenses are reimbursable. While it’s impossible to list every type of expense, you should include a list of the most common types of reimbursable expenses along with any limitations. It is very important to inform employees of the type of expenses that they will not be reimbursed for. For example, some companies do not reimburse employees for alcoholic beverages. If the employee decides to have a glass of wine with dinner, they should plan to deduct that from the overall receipt or put it on a separate check. One of the reasons why expense reports are so time-consuming is because locating and keeping track of paper receipts can be a nightmare. With that said, I recommend that you adopt a digital app that employees can use to take a picture of their receipts so that they won’t have to keep track of the paper. You can learn more about how this works in the Capture Receipts Digitally section. If you prefer an all in one solution, you should consider issuing prepaid cards to employees. You can set preapproved spending limits, spending categories and eliminate expense reports altogether. Best of all, you can connect Bento account to QuickBooks and download all of your transactions, eliminating manual data entry. 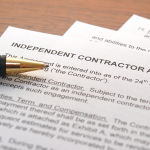 Determine if employees need to get approval prior to making a purchase. For example, pre-approval should be required on big-ticket items like an overnight conference, but it may not be necessary to get approval to pick up a box of bagels for the office. Expense reimbursements should be submitted immediately after a conference or trip comes to an end. For a traveling salesperson, this could be on a weekly basis. While it might be a bit painful at first, the sooner these requests are made, the easier it is because the details of the trip will be fresh, the financial records of the business will be updated with the most recent business expenses, and the employee will be reimbursed sooner. If it’s not ideal to implement weekly requests, I do recommend that you require expense reimbursements to be submitted within 30 days of the date they were incurred. If you need additional assistance with what to include in your expense report policy and how to implement it, check out our guide on expense reports. With today’s technology, there is no reason why anyone should have a glove box (or shoebox) of receipts. There are a number of apps like Expensify and Concur that not only allow you to take a picture of a receipt but employees can also complete entire expense reports right from their mobile phone. If you use accounting software like QuickBooks, you can have employees download the app, and they can take a picture to upload it into QuickBooks immediately. After you have documented your expense policy and adopted an app that will allow employees to capture receipts digitally, it’s time to outline the process employees must follow to submit their expense reimbursement requests. The process will be dependent on whether you use a manual Excel spreadsheet or accounting software like QuickBooks to process these requests. If you use Excel templates, employees will complete the template, attach receipts and submit this info to the business owner or their supervisor for approval. 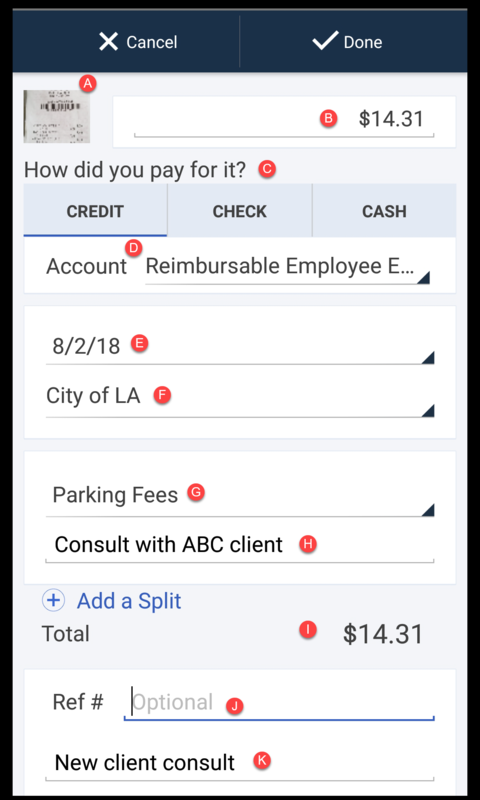 If you use QuickBooks, the employee will use the QuickBooks app to submit all receipts and the approver — often the business owner — will run a report to review all open expenses and submit a request for payment. We will go into more detail about the mechanics of each system in the Common Methods section. It’s not only important that employees submit their requests in a timely manner, but it is also important that you make timely payments to your employees. Establish a timeframe as to when the employee can expect to get paid, such as two weeks from the date the expense report is submitted, and communicate that to the employee. Depending on the size of your accounting department, you may have to designate one person to be responsible for processing all expense reports to ensure adherence to the payment deadline. This process is involved and prone to error and frustration. Many businesses are opting to use prepaid debit cards instead. You can set spending limits, approve spending categories and the card syncs with your accounting software. Try it for 60 days free. Most small businesses will use their accounting software or a spreadsheet program like Microsoft Excel to track employee expenses. There are a number of benefits to using accounting software like QuickBooks over a spreadsheet. The biggest one is using an Excel spreadsheet is a time-consuming and manual process whereas using accounting software eliminates much of the manual work. 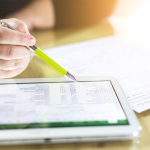 If you are using a spreadsheet program like Excel or Google Sheets, the process of reimbursing employees will take longer than if you use accounting software like QuickBooks. We have broken down this process into three steps. In general, processing employee expenses using Excel can be done in three easy steps. We provided you with several different templates, depending on what your needs are. 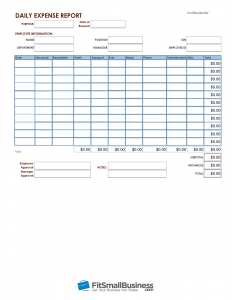 Below, we have included a screenshot of the Employee Expense Reimbursement Request template to demonstrate the information required to complete the form. 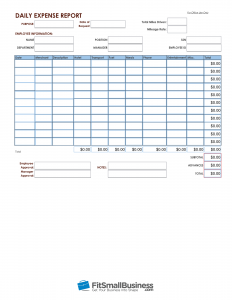 Sample employee Daily Expense Report template to account for employee advance payments. Once the employee has completed the reimbursement form, they need to submit the form along with all receipts to the person who is responsible for reviewing and approving expense reports. All approvers should ensure that the employee did not violate the expense policy, such as no receipts include alcohol purchases. Once the approver is satisfied that the reimbursement request is in line with the expense policy, a check should be written or an electronic deposit scheduled to reimburse the employee. Using accounting software is going to be ten times easier than using an Excel spreadsheet to organize, track and pay employee expenses. In our example, we have used QuickBooks Online to demonstrate how easy it is to account for employee expenses. While there are more steps listed here, actually going through this process will save you a lot of time. In general, accounting for employee expenses using QuickBooks Online can be done in six easy steps. You can download the QuickBooks Online mobile app to any Android or iOS device. How to scan A Receipt using QuickBooks Online mobile app. 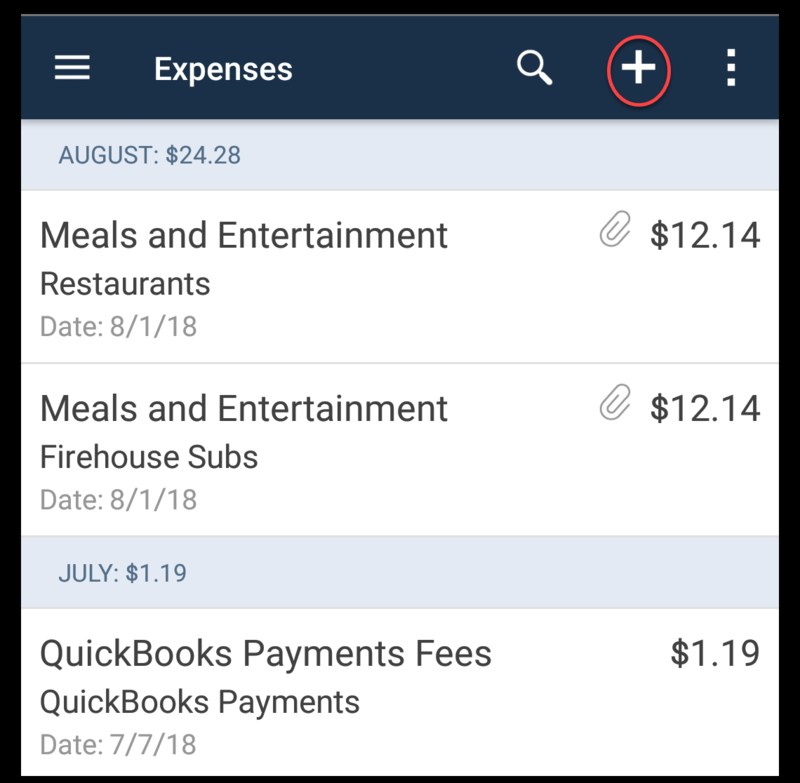 How to provide expense details for receipts scanned using QuickBooks Mobile app. Receipt: In this section, you will see a snapshot of the receipt. 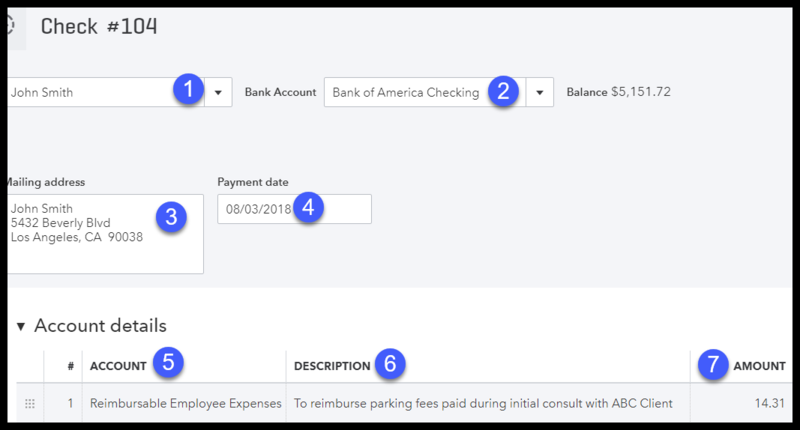 Transaction detail report for reimbursable expenses created in QuickBooks Online. QuickBooks Online Quick Create menu. How to write a check in QuickBooks Online. You can choose to save this payment information and print the check later, or you can print the check right away. 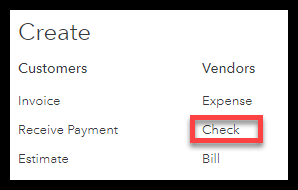 Check out our guide on how to print checks in QuickBooks for step-by-step instructions. If you want to learn more about how to track your income and expenses in QuickBooks, you can check out our free QuickBooks course. If you want to eliminate the need to reimburse employees for expenses, you should consider using prepaid expense cards like Bento. Bento allows you to set spending limits and where employees can use the card. You can even turn any card on or off at any time. Employees can also upload receipt photos and include notes and tags via their mobile device. Best of all, your employees don’t have to use their personal funds for business and wait to be reimbursed; eliminating the need to process expense reports. Bookkeepers can filter and export transactions easily to Excel or one of several accounting programs Bento integrates with like QuickBooks Online, QuickBooks Desktop, FreshBooks, Zoho and Sage 50 products. Bento can help streamline the process of managing employee expenses by replacing Excel spreadsheets and a shoebox of paper receipts with a prepaid expense card. Sign up for Bento and get your first two cards for free. If employees decide not to submit expense report claims because it’s too time-consuming or they have misplaced their receipts, it can have an impact on not only employee morale, but you could end up with a larger tax bill. If the process of getting reimbursed is so frustrating that employees just don’t bother, they may not be willing to use their personal funds for business expenses in the future, which means you would be forced to improve the process or issue prepaid spending cards like Bento offers. The other downside to having unreimbursed expenses is that you could end up with a larger tax bill at the end of the year. If employees don’t submit expense claims, that means there are legitimate business expenses that you do not have recorded on your books. Because expenses reduce your overall profit in the business, you could end up paying more than your fair share of taxes. Below, we have provided you with a few of the most frequently asked questions by our readers. If you don’t see the answer to your question below, just visit the FitSmallBusiness forum and post your question there and either one of my colleagues or I will be happy to answer it. How Long Do I Have to Keep Receipts for Tax Purposes? If you are a business owner or employer, the IRS only requires you to keep your records for three years if you have correctly filed your tax returns. However, it is best to keep your records for up to seven years just in case an issue comes up that you are not aware of. For tips on what to keep and the best way to organize electronic or hard copy files, check out our SMB Accounting, Bookkeeping & Tax Guide. Is My Bank or Credit Card Statement Acceptable If I Don’t Have Receipts? What Is the Best Way to Keep Track of Employee Mileage? Similar to expenses, mileage can be a challenge to keep track of unless you use a mileage tracker app. We recommend the MileIQ or QuickBooks Self-Employed apps. Both of these apps not only track mileage but they also allow you to keep track of expenses. Look at our guide on the Top Mileage Tracker Apps for price, features and benefits of each. Do I Have to Pay Payroll Taxes on Employee Reimbursements? Employee expense reimbursements are business expenses that the employee has paid on behalf of the business. Therefore, they are not subject to payroll tax because it is not income to the employee but a reimbursement of personal funds they used for business. Some companies choose to include reimbursement payments on payroll checks. There is a way to flag these items as reimbursements so that they are not included in any of the payroll tax calculations. One of the best ways to streamline employee reimbursements is to use accounting software. QuickBooks allows employees to capture expenses easily using the mobile app that syncs automatically with QuickBooks. This eliminates the need for employees to keep paper receipts and allows for the financials to remain up-to-date. Creating a QuickBooks account just requires some contact details about your business. You can sign up for up to 50 percent off your paid QuickBooks subscription and download the app to start tracking those expenses right away. I use Numreceipt to manage my Business expenses. It is easy to capture employee expenses, receipts , GPS location and to approve and reject. The user interface is easy and quite intuitive. For the cost their offer is really great!